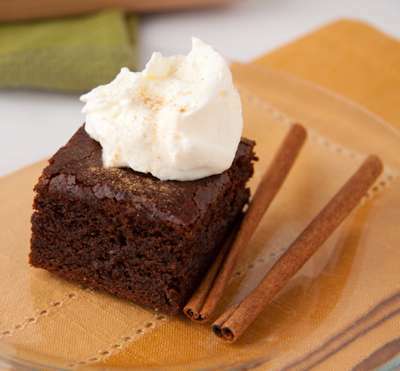 There are lots of different styles for creating gingerbread-like brownies, but one of our favorites includes cocoa and molasses and results in delicious chocolatey treats! 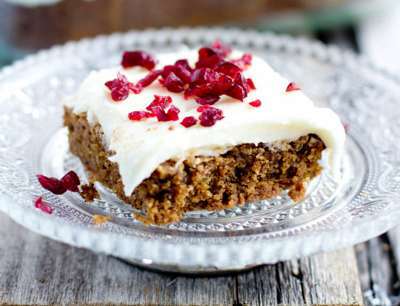 We love gingerbread any time of the year - but it's extra special during the holidays. 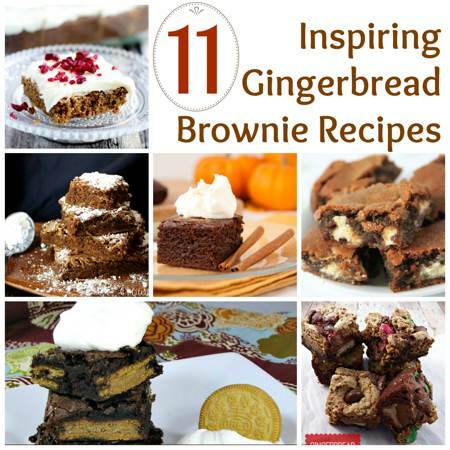 When most people think of the holidays and gingerbread, they automatically think of gingerbread cookies - but once you try some of these delicious gingerbread brownie recipes, you'll think twice about getting your fill of gingerbread only in cookie form. There are lots of great ideas for making fun and original brownies out of gingerbread (and you're really only limited by your imagination), but we've gathered some of our favorite recipes from around the web and included them here for you. 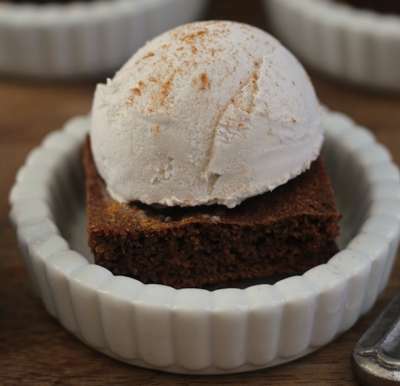 These are 11 blogger-approved and awesomely creative recipes for homemade ginger brownies. 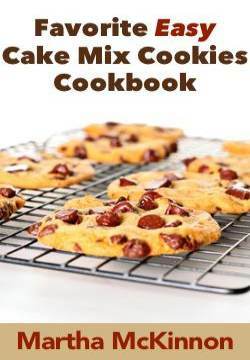 Just click on the cookie name below each photo to see the complete recipe on the original website. 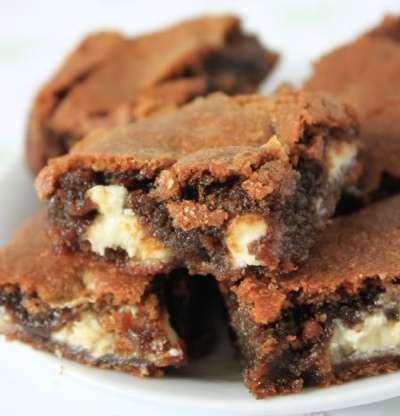 One bowl and three ingredients are all that's needed for these gingerbread cake mix brownies. As Amy suggests, these brownies would be a nice addition to a tall glass of cold milk or a mug of hot cocoa or coffee. Is there a better way to start your day during the crazy holiday season? 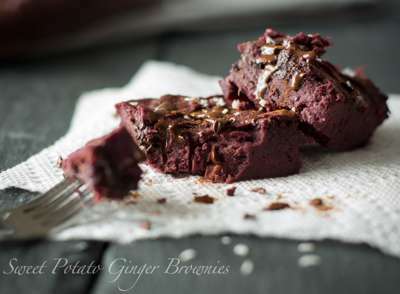 Leanne created these reduced sugar brownies to be gluten-free, dairy-free. The perfect fall desert to be enjoyed with hot tea and a dollop of coconut whipped cream and sprinkle of cinnamon. Yummy!! These gingery brownies with white chocolate cream cheese frosting from Carrian are sure to dress up any holiday dessert table. 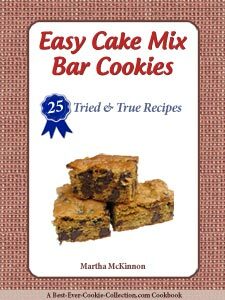 Simply start with a box of gingerbread cake and cookie mix and you're well on your way! She additionally adds some chopped craisins which add a nice burst of color and a splash of tartness. Jenn insists these brownies are super simple. 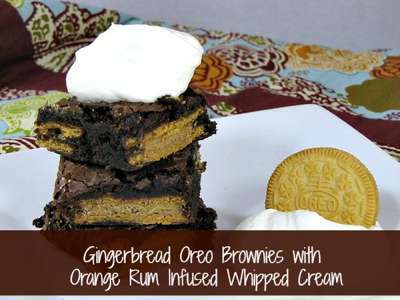 Start with a layer of limited edition Gingerbread Oreos and add your brownie mix is all there is to it! Of course her special topping comes in the form of Orange and Rum Infused Whipped Cream, so be sure to check out her blog for all the ingredients and mixing instructions. 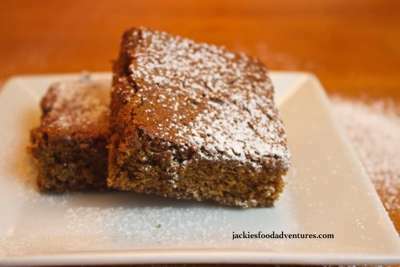 Find out how Jackie transforms her favorite brownie recipe into these cake-like ginger brownies with the additions of molasses, ground ginger, ground cinnamon, black pepper and grated fresh ginger. Dusted with powdered sugar, we think you'll quickly fall in love with these brownies. 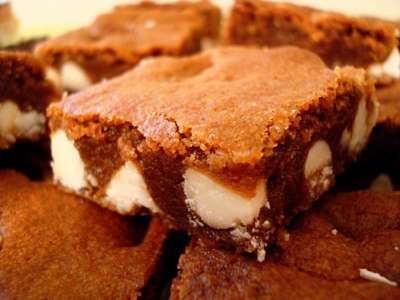 These blondies have a delicious caramel and toffee flavor with a hint of molasses according to Mel. 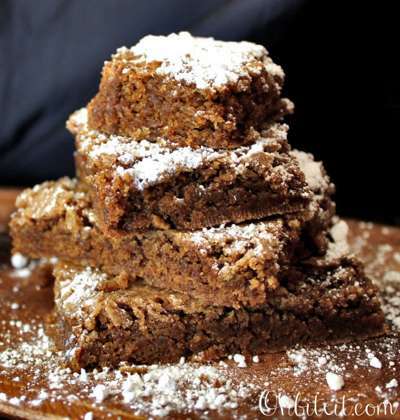 If you're a fan of traditional blonde brownies, you'll love this seasonal version that Mel doctors up with ginger, cinnamon and cloves - be sure to check out her recipe and baking instructions! Juli uses pitted dates as the main ingredient in her gingerbread-inspired brownie recipe. Using coconut oil and coconut flour help to keep these brownies Paleo-friendly. Top with Coconut Bliss Vanilla Island Ice Cream for an extra special treat. 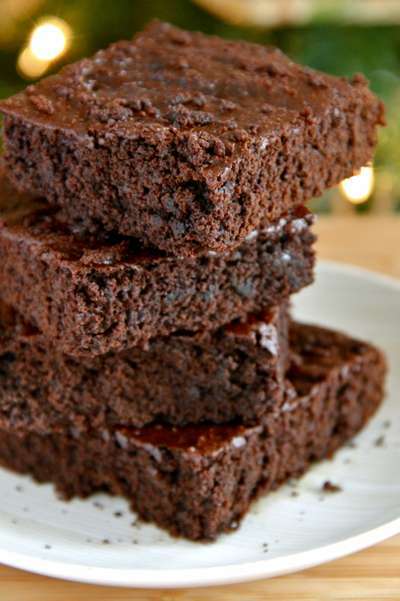 These rich and chocolatey fudgy brownies are dense and delicious. Amanda's secret ingredients include Greek yogurt, less butter than you'd expect, molasses, ginger, cinnamon, nutmeg and chocolate chips! Bet you can't eat just one. George uses sweet potatoes, honey and coconut flour as the base for these paleo friendly ginger brownies. 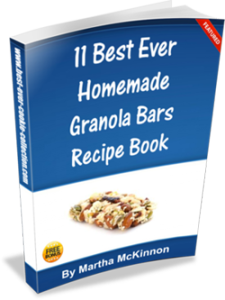 If you are following the Paleo Diet, you'll want to try these sweet treats! These gooey brownies are made with coconut sugar, honey, olive oil and whole wheat flour so they are slightly healthier than more traditional brownies. Check out Erin's recipe today for a new treat to add to your holiday dessert table. What do you get when you mix chocolate fudge brownie mix with gingerbread cake and cookie mix along with gingerbread Twix and gingerbread M&Ms? 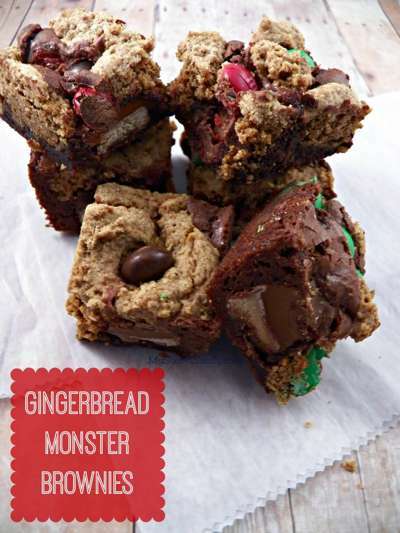 These decadent Gingerbread Monster Brownies brought to you by Jennifer at My Sweet Sanity.